Hedvika Roomscan be found in a beautiful spot by the Bovec – Kranjska gora road beneath Svinjak. They are part of the Hedvika boarding house. We offer bed and breakfast, half board or full board. The rooms have been recently renovated and are pleasantly furnished. There is also an amazing view of Svinjak and the surrounding peaks. An opportunity for active relaxation by the Soča river! Information and reservations by telephone! 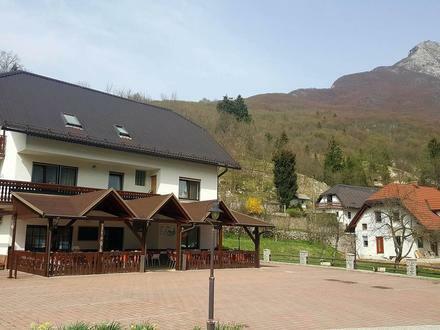 Rooms Hedvika Bovec, rooms Bovec.